A few years later, Miller worked at the old Ansen Automotive Engineering where he became familiar with Ansen-s aluminum connecting rod. The Ansen rod was a leading-edge design but had limited market success because the manufacturing was in Japan. In the early '70s, this arrangement didn't work well because lead times were months, sometimes even a year, and the company could not respond to market changes which occurred in shorter time-spans. Ansen eventually moved production back to the United States. About 1974, Ansen changed hands and was renamed American Racing, but the new owner was interested mainly in the wheel business. Bill recognized the Ansen rod's advanced design and that it outperformed other aluminum rods. More importantly, he was convinced of its potential for market success now that production was on American soil. 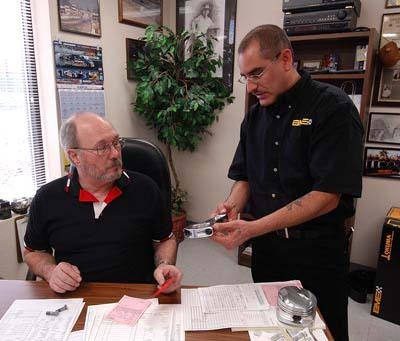 These ideas in mind, and influenced by his experiences with the National Speed and Marine Top Fuel car, Miller decided to go into business making aluminum connecting rods for drag racing. Bill went to his new employer with an offer to buy the connecting rod business and finance the purchase through a split of the profits. 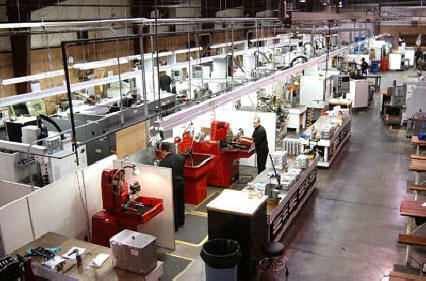 In June, 1975, Bill Miller Engineering, Limited began business in a tiny, 1200 sq. ft. factory in Long Beach, California. BME's first years were a grueling experience. 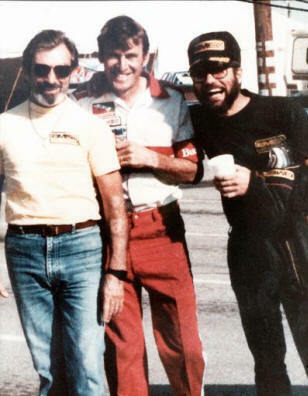 Bill Miller spent days working at American Racing as Quality Control Manager and six-to-eight hours each night on his rod business. The initial tasks were to sell the inventory of Japanese-made rods on hand and set up the BME manufacturing operation. Miller soon found most of the Japanese tooling didn't work very well. New machines had to be ordered and new tooling had to be built. The learning curve was steep because, while understanding the sales and marketing end of the race engine parts business, Miller was new to the manufacturing side. Bill became a self-taught machinist, toolmaker and manufacturing engineer on a crash basis. Through determination, persistence, seven-day weeks and four hours of sleep a night, Bill Miller Engineering slowly got on its feet. Through the mid-to-late'70s, BME Forged Aluminum Connecting Rods became well-known in drag racing circles with racers like Bill "Grumpy" Jenkins, Bob Glidden and Warren Johnson becoming quick converts and staunch supporters. By the end of the decade, Miller had paid off his debt to American Racing and, in the drag racing world, the BME brand had become synonymous with high performance, outstanding quality, great value and excellent service. 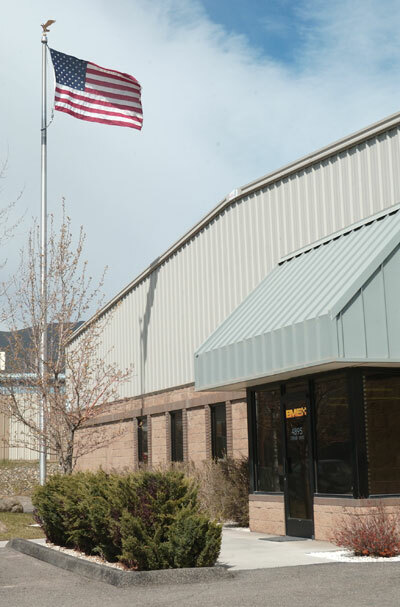 Part of this success comes from the company's mission statement: "Bill Miller Engineering is dedicated to designing, developing, and manufacturing the finest aluminum rods in the industry. Our commitment to the racer is total." 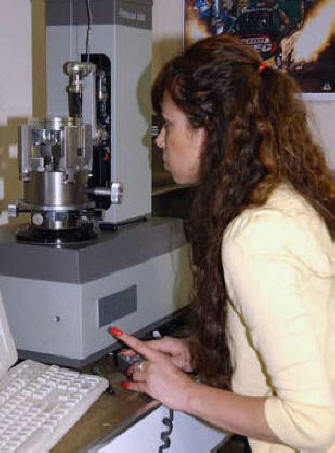 By 1978, the tiny Long Beach facility had become too small. BME moved up the San Diego freeway a few miles to larger quarters in Torrance. The first half of the 1980s brought more success. The company thrived now that it had more room. BME Rods continued to take the sport of drag racing by storm. In 1981, Bill Miller Engineering fielded the first of five of its own Top Fuel Dragsters, a 240-inch, Don Long chassis with a blown-fuel, Fontana/Chevrolet for power. Mike Woodard, Bill Miller's racing associate from his prior drag race effort, a Top Gas Dragster, was the driver of the new, BME Top Fuel car. 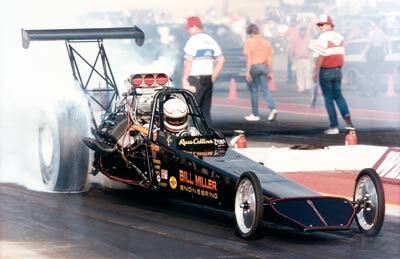 Since then, a succession of Bill Miller Engineering Top Fuel Dragsters have been used to develop and validate BME products. In 2010, the BME Top Fuel Team debuted the fifth in this line of race cars. For more information on BME's NHRA Top Fuel drag racing effort, see the Top Fuel race team page on this web site. In 1981, Bill Miller Engineering begin to campaign Top Fuel dragsters. There have been several over the years. The current BME Top Fueler, sponsored by BME, machine tool maker, Okuma, and the Red Line Synthetic Oil Corporation, is a Brad Anderson/Hemi powered, 300 in. Don Long-built race car. 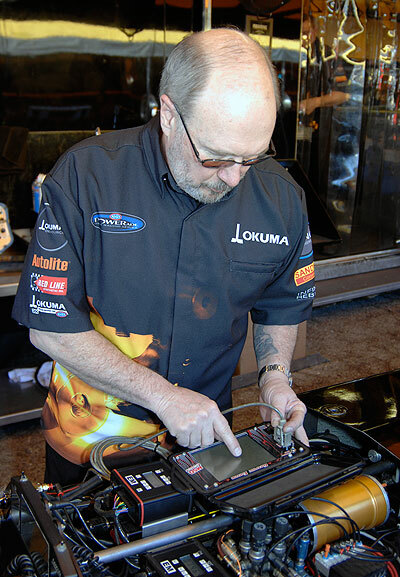 Bill Miller has always taken a hands on approach to his race car, in this case, programming the BME Dragster's on board data recording system. 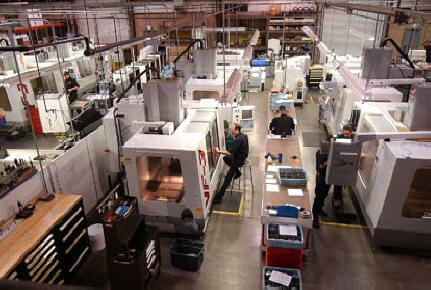 This view of the BME factory floor shows the piston and connecting rod manufacturing lines. In the southwest end of the BME's plant are the lines which make Gibson/Miller Supercharger parts along with BME Pistons and Wrist Pins. Bill Miller and wife Virgie are supported by dozens of dedicated team members are what make BME products great.